Martinelli returned to jail after health crisis"
WITHIN 24 hours of a Tweet from Ricardo Martinelli spin doctor Eduardo Camacho that his client was suffering a health “crisis” necessitating transfer to the emergency room of Hospital Santo Tomas (HST) the ex-president was back in the El Renacer prison where he is awaiting trial for illegal wiretapping and embezzlement. 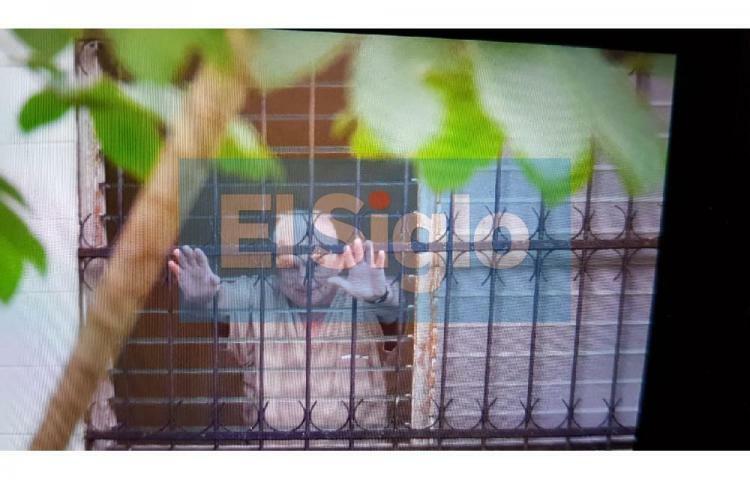 Ángel Cedeño.The medical director of (HST), reported that discharge proceedings began at 8:30 a.m. on Tuesday and he was on his way back to jail by 9:00 am. Camacho, part of the Martinelli defense team attempting to save Martinelli from facing a potential 21-year jail term if convicted, has frequently played the “hypertension” (blood pressure) card since Martinelli arrived in El Renacer on June 11, after being extradited from the US where he spent a year behind bars without reported health problems. Meanwhile, Martinelli supporters are on the streets seeking signatures for his bid to run for Mayor of Panama City, where he would be closer to the hospital. PANAMA | PRISON SOUL OF A MAN A prisoner enters jail with nothing to his name... may cry on day 1 and know he will be out on that one charge. A prisoner enters jail as a former president of an international nation... cries for the truth he know are only lies that drives him mad. A 66 year old man...now dreams to be a Mayor when all along his dream... to escape into the sunset with his yacht only to be captured and detained. Escape into the never-land of the ocean into the never-ocean prison walls. The crying man is only an outer shell of himself restricted, unable to see himself from the poor quality mirror in his confined space. What can he say to his prison counter part? Hi, I am the former president of Panama, remember me? I am going to be a Mayor of Panama (God's help?) someday. Hypertension / abnormal blood pressure...66 years old...vomiting... A little boy says to you...What did you do with all that money? What money...you mean the money in the cookie jar? You know!